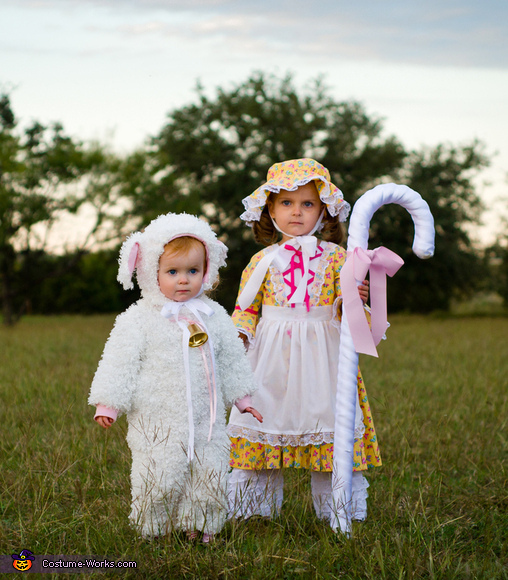 Lucy, 3, is Little Bo Peep. Her baby sister Violet, 1, is the sheep. Grandma sewed this costume with love, paying careful attention to the patterns and fabrics she chose. The girls also had lots of "fittings" throughout the process! Their costumes ended up perfect!